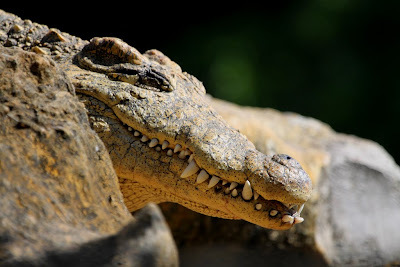 This crocodile looks exactly like I do after I've had more than my share of pizza--content and pleased with himself. Of course, he also looks like the rocks around him, so I don't know what that says about me. He's all smiling to himself. Love it!